Looking for the perfect pair of bootcut jeans this season? 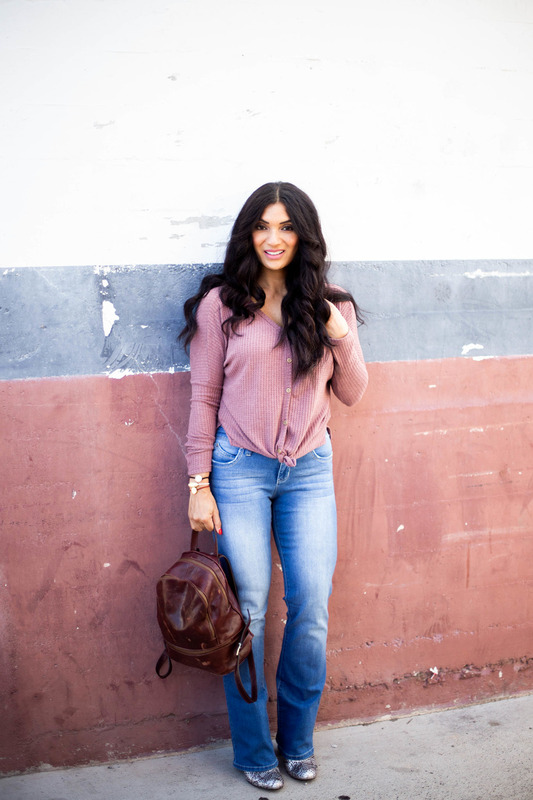 See why I am loving these mid-rise bootcut jeans below…. Hello friends! Thanks so much for heading over to my blog today. It truly means so much to me! I think about you guys all of the time. My wish is to create posts that you are excited about reading and to inspire you with styling ideas to help you feel amazing, confident, and creative. The last few weeks have been wonderful and extremely busy! It has been filled with events around my family. My son Elijah just celebrated a birthday and got baptized. We are so proud of him! My parents flew in for the special event and we threw a joint birthday party for both him and my father. After the baptism, we hosted a family luncheon and invited a couple of close friends. My awesome mom made her famous egg rolls (and a gluten free option for my MIL) and shrimp and chicken spring rolls. We also had potstickers, orange chicken, and Jasmin rice. YUMMY! Afterwards, my whole family attended Emi and Chloe’s ballroom dance fundraiser in which Chloe’s team won 1st place! The fundraiser raised over $5200 towards their ballroom conservatory. Then, the night before my parents flew out back to Utah, we walked the beautiful trail leading to the San Clemente Pier and enjoyed every minute together! I cried like a baby when I waved my parents goodbye the next morning! Partings are always so hard for me. I wanted to let you know this is why my posts have been few and far between. Juggling family, personal, and business life is not easy for me. I decided to take the breaks needed to really enjoy and be present for my family. My role as wife and mother comes first….even though I absolutely love blogging! I know my kids won’t stay this young forever, dang it! Let’s talk about these mid-rise bootcut jeans now. They are finally making a comeback! When was the last time you guys wore a pair of bootcut jeans? For me, it feels like it has been forever! I have been wearing a lot of skinny jeans. To be quite honest, skinny jeans are probably here to stay whether you like them or not. 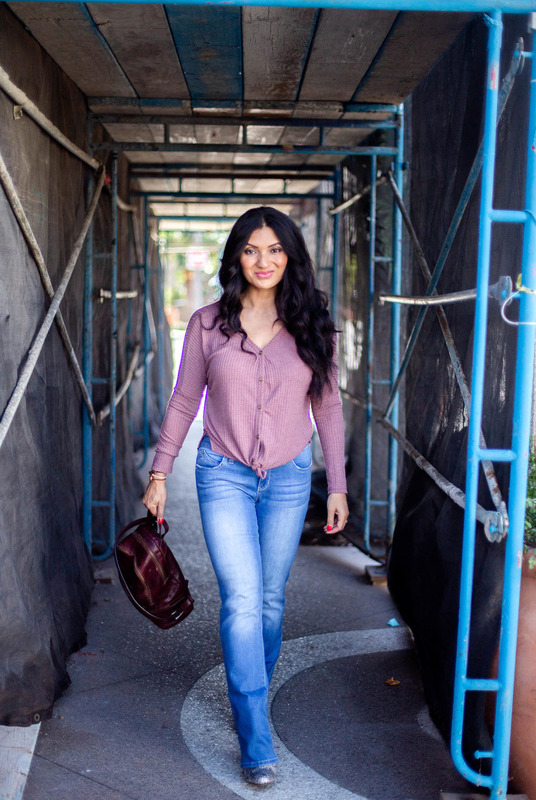 Though I love wearing skinny jeans (definitely not during that time of the month) putting on my new bootcut jeans felt like home! Growing up in Utah and being surrounded by western-esque influences meant bootcut denim jeans, cowboy boots, and country dancing! So much fun! It was a nostalgic experience slipping into these bootcut jeans. I love a pair of bootcut jeans with a mid-rise because bending down to grab something doesn’t become risque! Feeling comfortable in my jeans is my number one priority. Another plus for these stylish bootcut jeans is that it has a generous amount of hyperstretch which I need for my powerful quads! Yes, I lift! 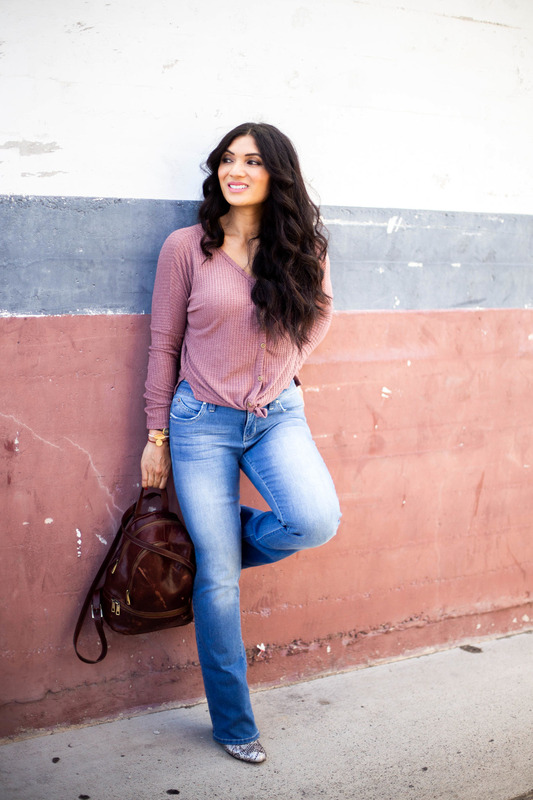 You can wear bootcut jeans with high-heeled boots, pumps, and even flats! 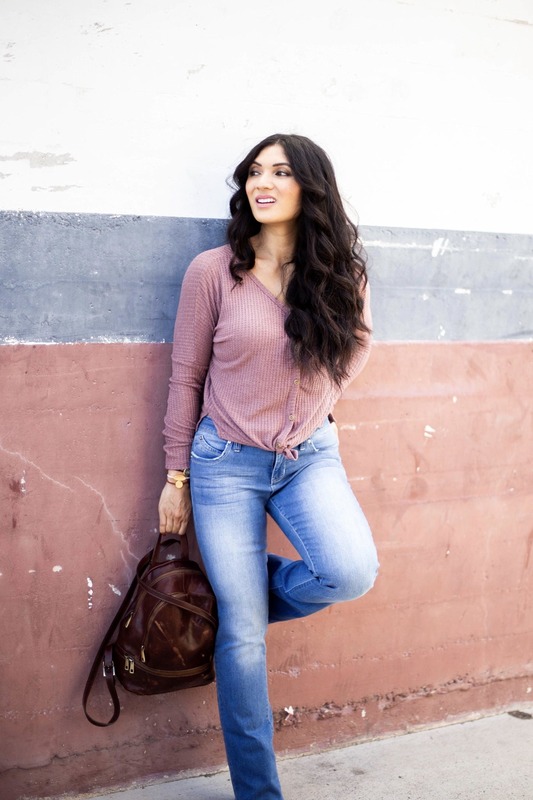 Bootcut jeans are back and women love them for their all around flattering look. Bag: I am sporting my photographer leather backpack she purchased in Italy | This one here and here is just like it. 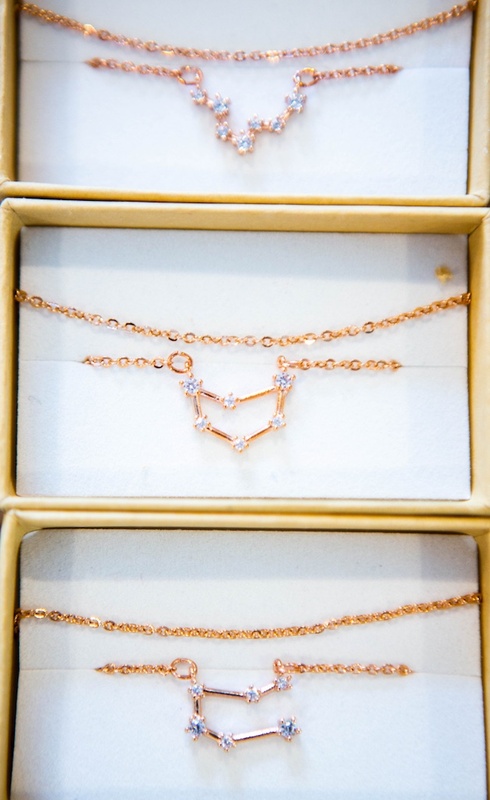 Bracelets: c/o By Lilla | These ones are cute too. Lovely jeans, they really suit you! 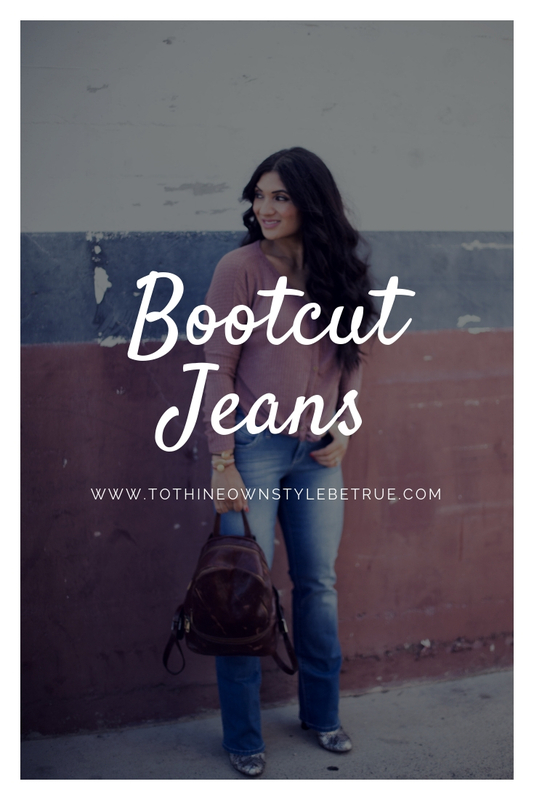 I’m more of a skinny jeans girl myself… I haven’t worn bootcut jeans for such a long time. Such a cute look on you! I am still obsessed with skinny jeans but I do love a good bootcut! Love the boot cut jeans! They look really great on you! Cute ankle boots too! Wow, you have had a lot going on! I always hate it when my parents leave here or we leave Florida to head back to Texas. It’s never easy. These bootcut jeans are cute! I have always liked bootcut over anything else. This bag is a must have for me. I think that will be my early Christmas present to myself. This was my go-to jeans 10 years ago. I’m glad they’re making a comeback! You look amazing, btw. You look amazing! 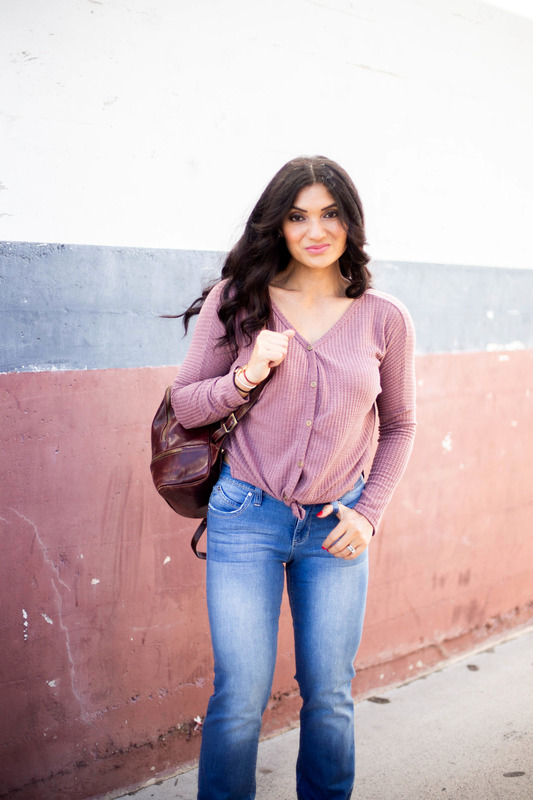 I love the whole look – the jeans, the waffle top, the bag. 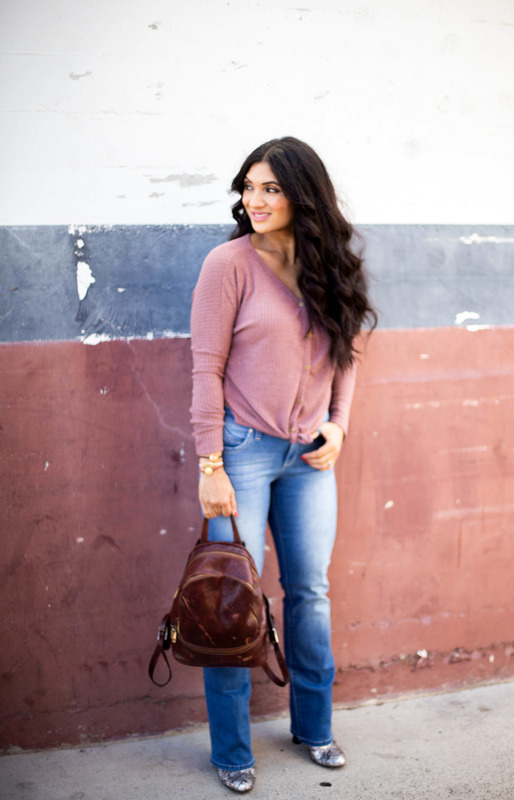 Such a great fall casual look. I was just looking for a cute jean the other day. These look so cute. I need to try them out. Thank you for posting. I know the star of this post is the jeans, but I can’t get over that top! It looks so comfy and cozy, and the color is beautiful!